We offer wide range of Christmas hanging decorations & ornaments required to add festivity to the home décor. Our products are designed to enhance the beauty, fun, and frolic of Christmas. These are elegantly designed by our team of creative professionals and are offered at industry leading prices. Iron Angel on Wooden Pedestal in Height of 47 and 64 Cms. 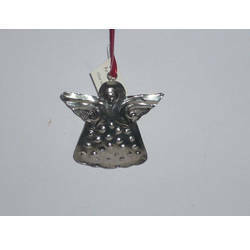 We offer wide range of Christmas hanging Angel which is required to add festivity to the home décor. Our products are designed to enhance the beauty fun and frolic of Christmas. These are elegantly designe and i am looking For foreign query with bulk order. 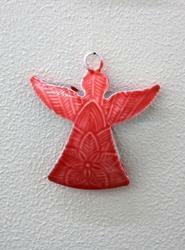 Angel From Jesus Family, Size: 6"
We offer high quality Christmas craft angel.